Democrats launched their proposed plan today to address climate change, which would create thousands of jobs in renewable energy. 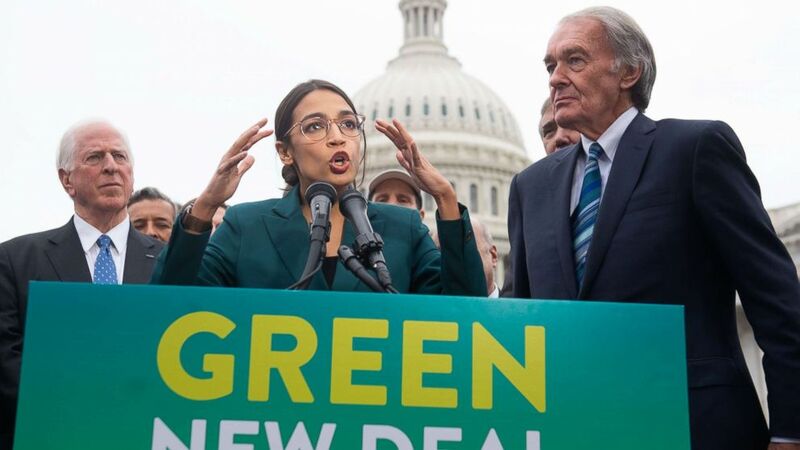 More than six senators running for president or considering a bid for the White House co-sponsored the Green New Deal put forth by freshman Rep. Alexandria Ocasio-Cortez of New York and veteran Sen. Ed Markey of Massachusetts. The proposal calls for a “10-year national mobilization” on the scale of the original New Deal to shift the economy away from fossil fuels such as oil and coal and replace them with renewable energy sources such as wind and solar power. It sets a goal to meet “100 percent of the power demand in the United States through clean, renewable and zero-emission energy sources,” including nuclear power. The resolution urges elimination of fossil fuels pollution and greenhouse gas emissions “as much as technologically feasible” in a range of economic sectors and calls for “upgrading all existing buildings in the United States” to be energy-efficient. Senator Markey predicted more Democrats would sign on as the plan gets better known and said some Republicans may back it. More than 80% of registered voters supported the concept of a Green New Deal in a December poll by Yale and George Mason universities. Are you going to vote in the primary election?